You have to say the labels are top class on these. Quality packaging won’t solve all the problems in the sherry triangle but it certainly doesn’t hurt. 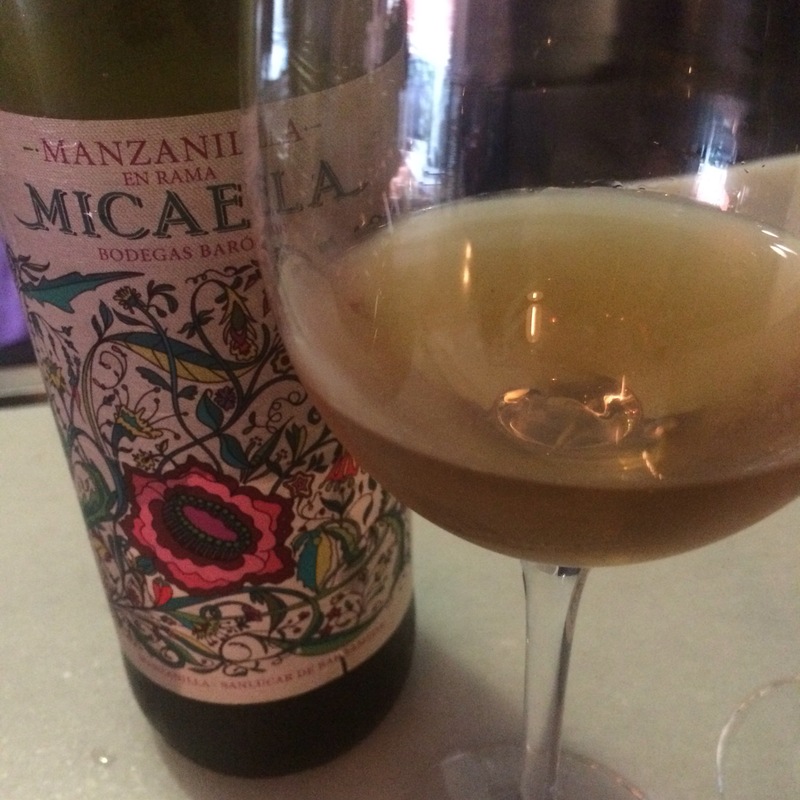 What I particularly like about this one is the floral, colourful greenery – dead right for a manzanilla (even if this one isn’t particularly floral or green). As to the wine inside, according to the website we are looking at a manzanilla en rama with an average age of 4 years under flor from Jerez Superior fruit (according to another section of the web the family has two vineyards: El Poedo and El Hato, but it is not specified which fruit is in this Micaela). Like a lot of en ramas it has a brownish, evolved looking colour as you can see above which gives it the appearance of a much older wine. On the nose there are the big bales of hay you expect but also a sweet, coppery, stewed tomato aroma – a bit disconcerting at first but it improves with time in the glass. On the palate it has a smooth, slightly bitter citrus quality, with well integrated minerals and alcohol that don’t intrude. Lovely long, fresh finish. Overall a tasty and well integrated wine. < Previous What’s new in Jerez and Sanlucar?